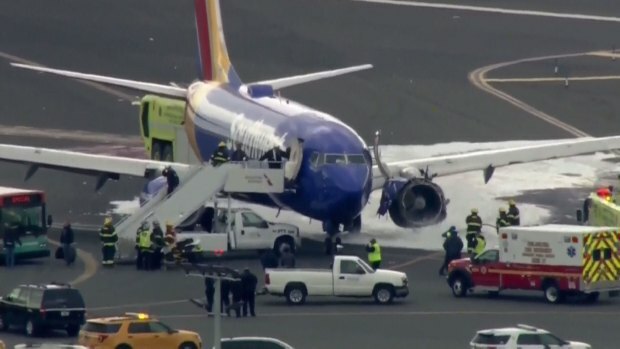 A group of passengers onboard the Southwest jet that was forced to make an emergency landing in Philadelphia after an engine exploded are suing the airline, claiming severe emotional distress and seeking unspecified damages. The lawsuit filed Tuesday in New York State Supreme Court also names the Boeing Company, GE Aviation Systems LLC, Safran USA Inc. and CFM International Inc. as defendants. In the lawsuit, the plaintiffs, which includes seven passengers and the husband of a woman on Flight 1380, allege to have suffered "severe mental, emotional and psychological injuries, including post-traumatic stress disorder, and physical injuries" as a direct result of the "frightful, death threatening" incident. The Southwest flight was heading from New York to Dallas on April 17 when one of the engines on the Boeing 737 exploded at 30,000 feet. Part of the engine struck a window, shattering it and causing a partial loss of pressure that led to 43-year-old Jennifer Riordan, of Albuquerque, New Mexico, being partially sucked out. The Wells Fargo Bank executive died later. Passengers Cindy Arenas, Jaky Alyssa Arenas, Jiny Alexa Arenas, Elhadji Cisse, Donald Kirkland, Beverly Kirkland, Connor Brown and Cassandra Adams said they "were confronted with their greatest fear, the overwhelming horror of being trapped in a plane about to crash." Joe Arenas, the husband of passenger Cindy Arenas, was not onboard the flight, but is a plaintiff in the lawsuit, alleging to have "suffered the loss of consortium of his wife…due to the devastating impact upon their marital relationship," according to court documents. Riordan's family is not part of the lawsuit. 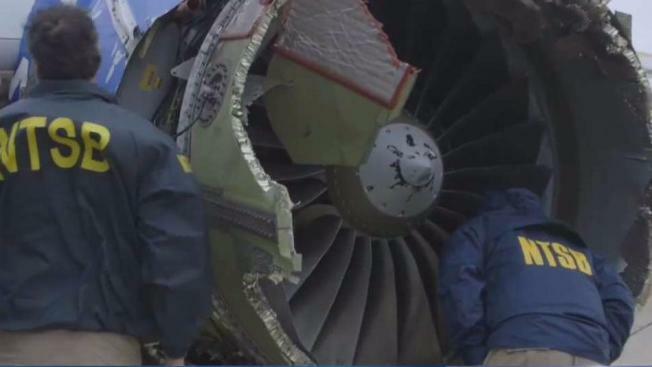 A preliminary finding by the National Transportation Safety Board showed one of the plane's engine blades snapped due to metal fatigue. The lawsuit alleges the Dallas-based carrier failed to reasonably monitor and maintain the failed engine that caused the incident. Southwest Airlines did not immediately respond to a request for comment. The lawsuit was filed the same the U.S. Department of Transportation’s Inspector General Office announced an audit of the Federal Aviation Administration’s safety oversight of Southwest Airlines. Matthew E. Hampton, assistant inspector general for aviation audits, wrote in a letter announcing that audit that the agency has received a complaint about "alleged pilot training deficiencies," and other "operational issues" at the low-cost carrier. "We are concerned whether FAA’s oversight includes an assessment of the carrier’s ability to identify hazards and analyze and mitigate risks," Hampton wrote.